Those 6 games did not destroy the VCA, the service was already dead before Capcom released them, so at the time they were all welcome additions. Ghosts 'n Goblins and Black Tiger are awesome btw, and a 6/10 doesn't make it a bad game. Sorry VCA was dead anyway so just waiting for a review for super hang on. Give me SSF4+5 capcom or else you WILL be sorry because SSFIV:3D sucked! Not changing my statements until mario party 1 gets on the virtual console. at the time they were all welcome additions. A few could have been better games when the games were limited to only six. Did we really need SonSon? You're right, they could have had a better selection. But I'm sure there are a few people out there that were happy about getting SonSon. This was never answered for me on the review page but does this have some sort of offline rankings board and can you save the scores? A famous person once said about the needs of the many and the needs of the few. It applies here too. 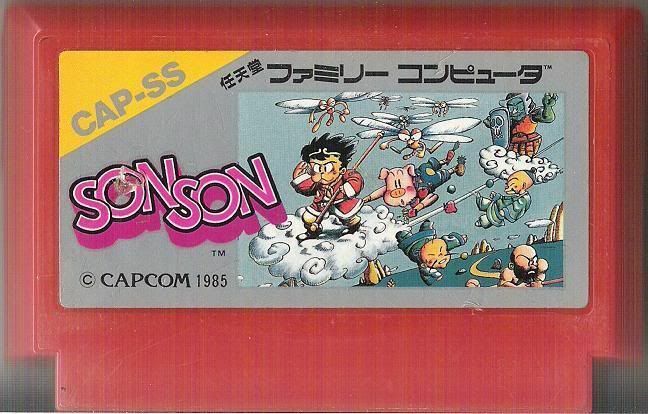 Hey, there's probably some poor fool out there who probably spent more than $8 to play SonSon. While I could personally care less about SonSon, I'm glad the VC doesn't just release games that appeal to the majority. If that were the case, half the games on the VC probably would not have been released. I think its right to assume that more sales = more games. There were several games on the VC that I found questionable if the publisher wanted the games to sell. They released crap and then wondered why they weren't selling which lead to them thinking the VC wasn't popular enough to continue releasing games.